Today we go back to the real Willie Wonka of the Artisan Bean-to-Bar scene – Willie Harcourt-Cooze creates his magic with odd, vintage machines and has the wonderful madness of a truly passionate chocolate maker in his eyes. In his ongoing mission to learn the Brits – and the rest of the world while he’s at it – how proper chocolate tastes, he creates bars with cacao from so many wonderful cacao regions. 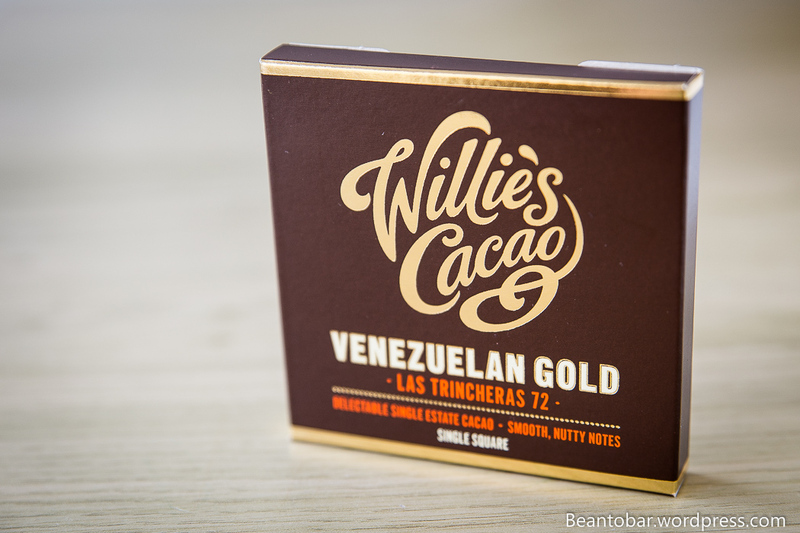 Today we have a Venezuelan cacao bar – Las Trincheras. Venezuela is home to many of the most renowned cacao terroirs and can deliver the highest quality of cacao. 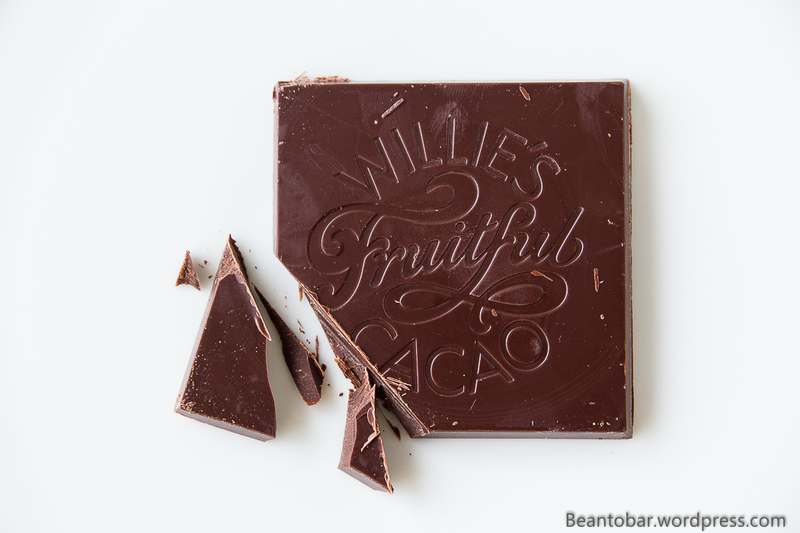 Willie selected Trinitario cacao from a single estate, Hacienda Las Trincheras to create this bar. Intriguing enough, I will be able to compare it to the smooth Trincheras bar made by Rószavölgyi I reviewed before. 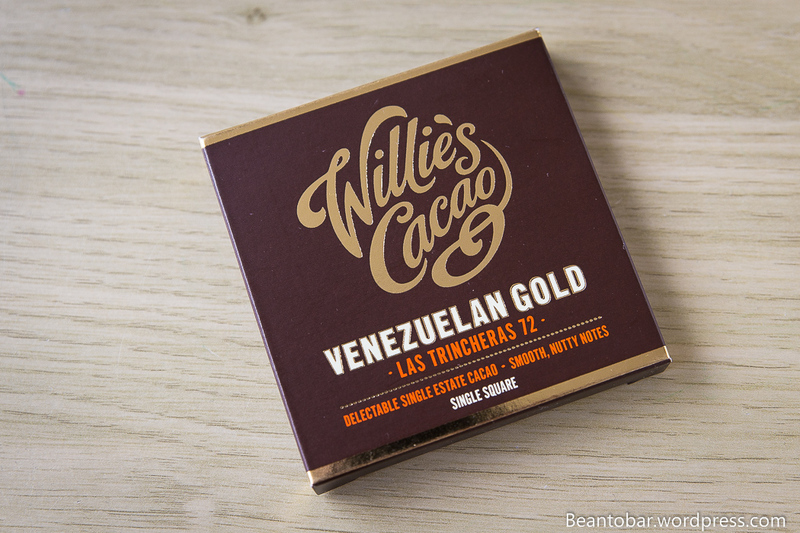 As always, Willie offers his bars in neat rectangular pieces, inside a wonderful little box – almost looking like a jewelery case. Inside, the same golden foil protecting the chocolate. On the back, a little more info is given on the cacao origin and tasting notes – rich, nutty and smooth. Taste: the bar opens slowly with a smoked touch followed by a whiff of toasted hazelnuts. Subtle yet clear sweetness arises before a very gentle yellow fruit profile builds. Yellow raisin comes to mind. Underneath a bit more power is generated by a very moderate espresso tone. Finally, the chocolate melts with another burst of subtle fruits, a little more pungent this time. The aftertaste is very chocolaty in nature and keeps lingering around in the mouth for quiet a while. All in all, this bar offers a very smooth and satisfying chocolate without brisk flavor changes. And it is perfectly in line with the Rószavölgyi bar, which offered just a little more spices. It is simply a great piece of chocolate! To be enjoyed to the fullest! 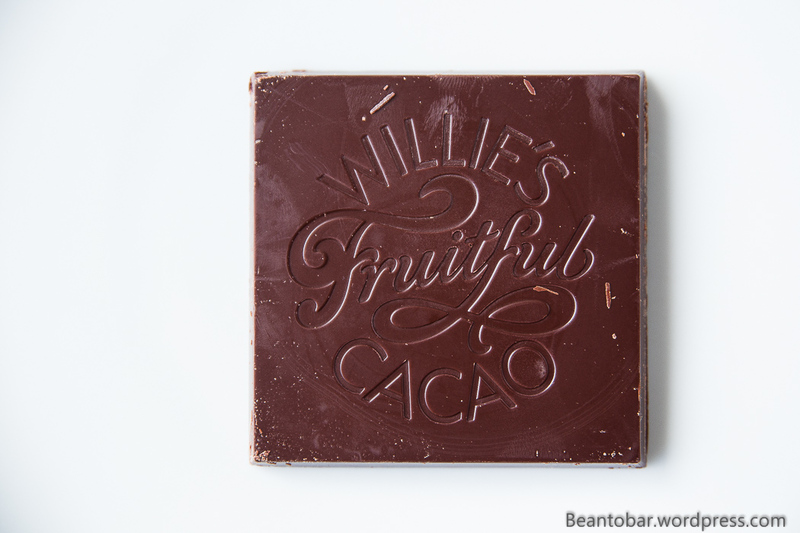 I’d really love to try Willie’s Cacao chocolates!